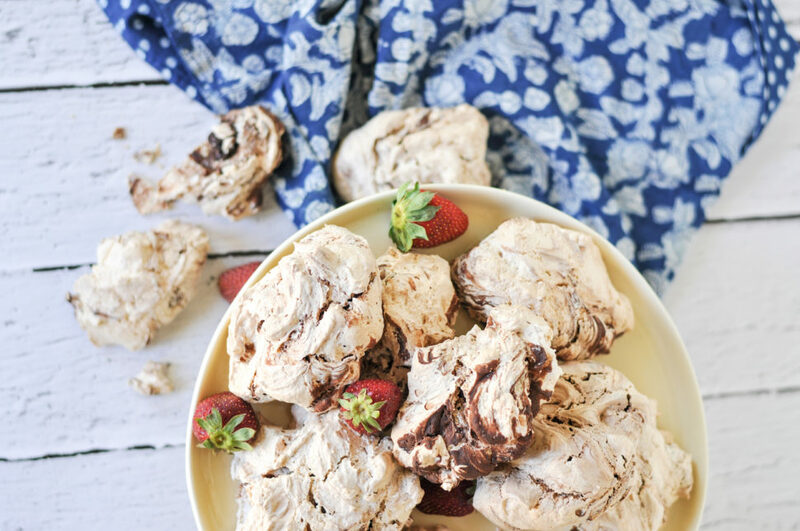 You will have possibly heard a lot of conflicting stories when it comes to meringue and creating it in the Thermomix. I have a few tips that should make the experience less problematic, though it is a science and things can go wrong with meringue at almost any stage. Clean and dry your TM bowl and Butterfly scrupulously. There is such a thing as a vinegar wash, which isn’t a bad idea for your Thermomix anyway from time to time. Place 1L water, 30ml vinegar 10 min/Varoma/Butterfly/speed 2. Rinse out bowl in cold water and ensure it is completely dry before continuing. Age your egg whites; There are a lot of things that get better with age, and apparently, meringue is better with aged egg whites. So, separate eggs a few hours before you begin. Leave uncovered in a clean ceramic bowl to ‘age’ the egg whites at room temperature. TWO: Whip the air in. Given that there is a lid on the Thermomix bowl with just a small space for the water to evaporate out of the whites, it is important to help the protein retain the air we are trying to incorporate with a little help, and I mostly suggest, 1 teaspoon of cream of tartar per meringue batch. You could also try vinegar or lemon juice to achieve the same effect. The acid helps the protein molecules bond together. Never try to whip more than 230g of egg whites in one go in the Thermomix, and never go above speed 3. I always use heat when whipping egg whites in the Thermomix, ranging from 37°C to as high as 60°C on certain occasions. The higher the heat when beating, the softer or chewier the end meringue will be. THREE: It’s not over till it’s cooked. Be very gentle with the finished meringue as you form it into the desired shape for cooking. I actually remember my mother practically tip toeing around the kitchen when she made pavlova…and we were on complete silence mode until the meringue was completely cooked. I am not that severe, but banging the oven door or opening it too many times to check progress is not a good idea. A meringue can appear to be perfect in the bowl, glossy, smooth, shiny and slightly springy, but can still fail at the baking stage. If the temperature is too high, the top browns before the water inside has time to evaporate, which then dissolves the sugar to form syrupy beads on the meringues surface. Baking the meringue for too long can also have the same effect. I usually leave my meringue/pavlova in the turned off oven with door just ajar to finish for around an hour. This has some science behind it too, it’s all about that water again. Having said all of that, don’t be afraid of it. If all else fails, break it into pieces, add berries, mounds of whipped cream, chocolate sauce and call it Eton Mess. Or a deconstructed Pavlova. Or whatever you like actually. I am pretty sure you will still find it delicious. If not a bit trendy as well! 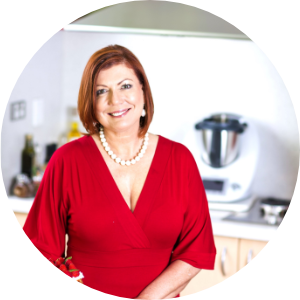 For the very best Thermomix meringue recipe, you are going to need my best selling cookbook, Cooking with Tenina. Get onto it people. You will not be disappointed!